Hardcover, 8.25 x 10.5 in. / 96 pgs / illustrated throughout. 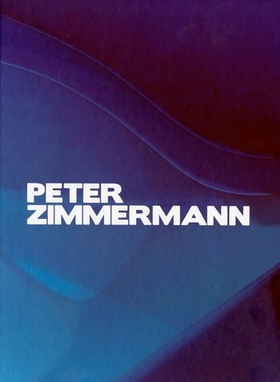 Peter Zimmermann (born 1956) borrows the techniques of old masters such as Cranach and Dürer to create superimposed layers of paint that yield a subtly translucent effect. Instead of working in oils, Zimmermann applies an epoxy resin into which acrylic pigments are randomly inserted. Lacing Action painting and Color Field painting with a postmodern twist, Zimmermann’s abstract motifs seem to spring from more figurative representations: he uses computer graphics and ‘dithering’ (a technique that displays images without firm edges so as to give a more colorful appearance) to deform images, texts and signs from his own massive archive of images, evoking the atlases of Gerhard Richter and Aby Warburg. With different algorithms, he renders his source images unrecognizable, abstract. This publication celebrates Zimmermann’s tactile paintings, which possess a luminosity and unique internal sensuality, directly issuing from his complex and innovative technique. 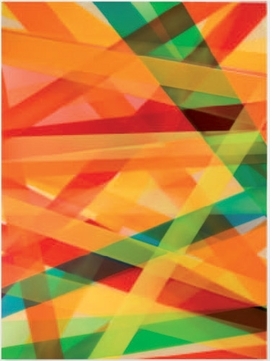 Featured image, "Stroke I" (2012), is reproduced from Peter Zimmermann. FORMAT: Hbk, 8.25 x 10.5 in. / 96 pgs / illustrated throughout.